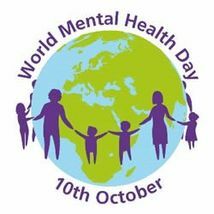 Today is World Mental Health Day – a time to reflect on the 3.2 million Australians who have experienced a mental health disorder in the past year, and almost 50 per cent of the national population who will experience a mental health disorder at some stage. State Trustees’ people see the impact of mental health disorders every day. Many of the people we assist are affected by mental health issues and require assistance in managing their financial and legal affairs as a result. One of the organisation’s core missions is to promote empowerment and independence for its clients, and social inclusion is a major focus for State Trustees advocacy program. Artistic expression is a great way of bridging the social divide on mental illness and communicating a highly complex health issue, which is why State Trustees hosts the CONNECTED Art Exhibition each year, which celebrating artists with a disability or experience of mental illness. This year, more than 150 artists will feature in the exhibition, which showcases artistic talent in its own right and highlights the role of art and art therapy in mental health, wellbeing and social connection. CONNECTED will run at the Yarra Gallery, Federation Square, 16-28 October. Be sure to visit and see what can be achieved when we include, encourage and recognise people who can otherwise feel isolated and vulnerable.